“Tarbut” or Culture, get your fill of Israeli music, drama, dance, art, literature through our Israeli cultural arts programs. Partnering with the Israeli House in LA and other Israeli Cultural Centers in the United States, Tarbuton brings Israeli culture to San diego. TNUA & Lillian Elbaz continue this tradition for youth programs while Tarbuton continues to bring in programs for adults. Learn more about TNUA here. Cultural Arts programs in Hebrew are often sponsored by the Israeli House in Los Angeles. 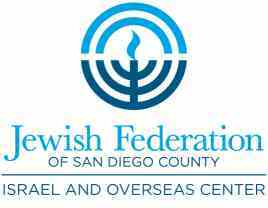 Thank you to the Jewish Federation for making this resource available to the Tarbuton.